We are a professional Sports Monitor for Las Vegas sports media over the past 16 years, and becoming one of the best with the sports betting scene. 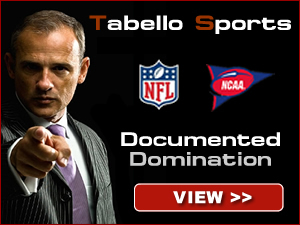 In early 2008, we were approached about a business opportunity involving sports monitoring. And the further we delved into that opportunity, the more interested we became in trying our hand at it. We spent several months looking into current Sports Monitor "professionals". We pored over their web sites, particularly noting how they presented and dispensed their information. A major part of an independent sports monitors success must hinge on getting the betting public to not only look at its web site, but then drive that betting public to the sports services web sites. To do that, information must be presented in a way that is easy to read, easy to digest and easy to understand. If bettors are completely overwhelmed by a sports monitors site, whether its because of an information overload or simply in the way that information is displayed, those bettors will be less likely to take advantage of that information. That means they will be less likely to check the web sites of the SPORTS MONITORS clients. For the money handicappers pay to be independently monitored, they rightfully expect that investment to help drive bettors to their respective web sites. This is where we at Las Vegas Sports Monitor felt we could enter this business and quickly begin to make a difference. Weve created a web site that has a very clean format thats easy on the eyes. Weve come up with rated-play options that give handicappers a variety of ways to submit plays, while trying not to overdo it by having too many options that could overwhelm the betting public. Weve created sortable standings pages, making it easier to see how a service is doing based on the credentials that matter most to you -- whether its units won, winning percentage, games won/lost or sides or totals won, etc. Plus, through our relationships with radio programs and VegasInsider, along with our variety of contests, were doing things to market our clients in ways that no other independent sports monitor is doing at this time. And that marketing can positively impact your bottom line several times over what it costs for a seasons worth of sports monitoring. By doing all that, we believe weve made a web site that will better serve our valued clients, with an easier system for the betting public -- both serious and casual -- to understand. And if bettors feel more comfortable with it, that comfort level should lead them to the sports services web sites, where they can then make an informed investment as they purchase selections. We hope you agree with the steps weve taken at Las Vegas Sports Monitor, and we welcome any questions/comments/suggestions you may have. Thank you for visiting our web site.